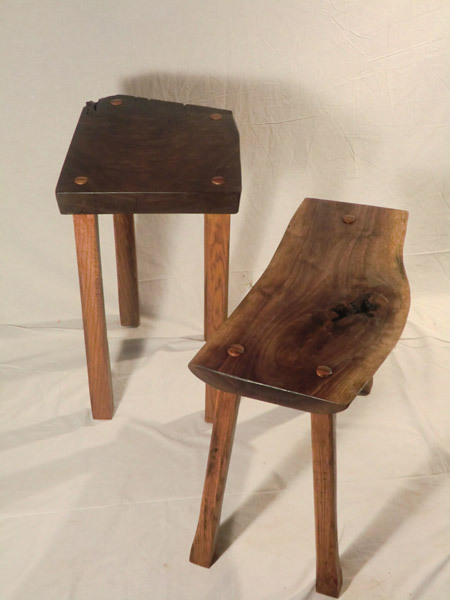 We make these stools, side tables and small benches mainly from scraps of materials left over from larger projects. 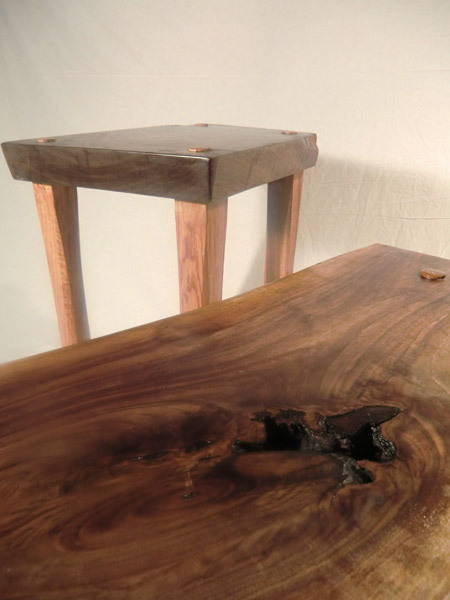 They are never the same, because the material's unique shape dictates proportions, the weightiness of a piece and how the piece will be used. Working in this manner is refreshing, stepping back, allowing the material to entirely dictate the design. We think each final piece - with organic lines, textures varying from fine polished finishes to rough knots and worm holes, and unorthodox combinations of forms - conveys that natural process of design.